© Koninklijke Marine. Via Wikipedia.org. Copyright restrictions may apply. 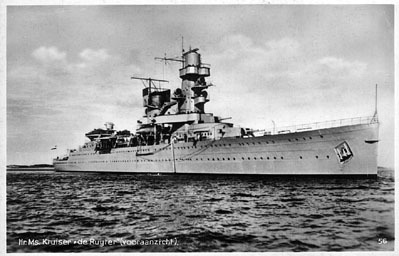 Dimensions 560'4" by 51'6" by 16'8"
She was at sea when war broke out, and was lost at the Battle of the Java Sea.